This chart shows the popularity of the search term ‘paleo diet’ on Google between 2010 and the end of 2017. You can see that ‘paleo diet’ peaked in 2013 and 2014, but is now less than 27% as popular as it once was. You can’t argue with the hard data. Now it’s about influencers and companies selling ready-meals, cookies and other “paleo” junk disguised as healthy. 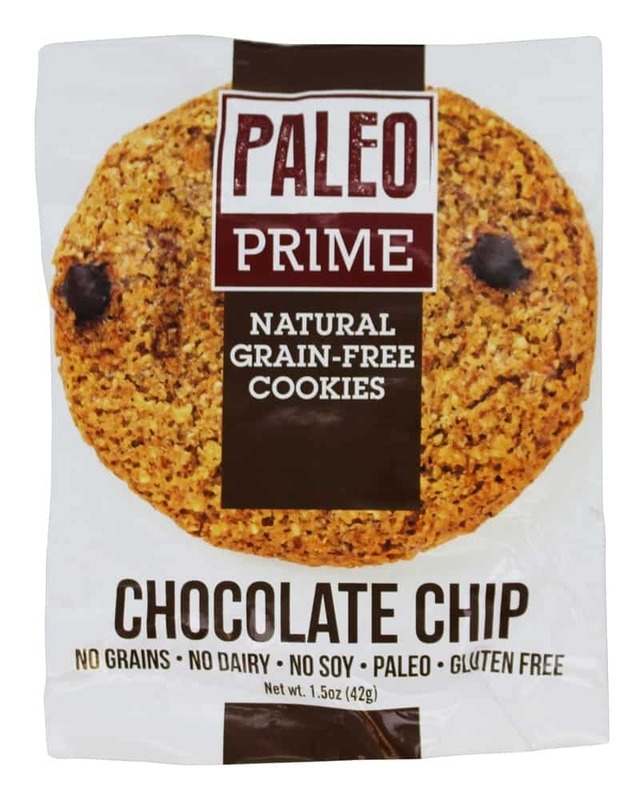 Paleo junk food is still junk food… Not to mention our paleolithic ancestors were not eating cookies. 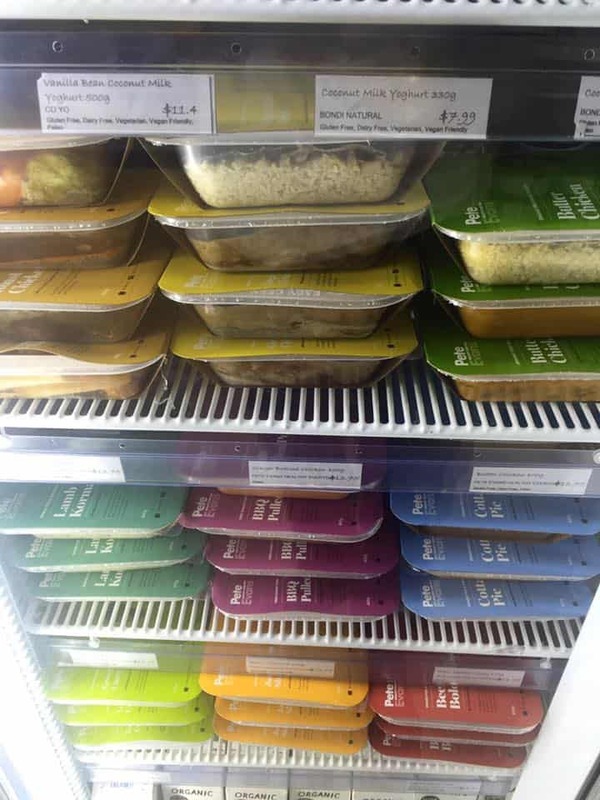 Packaged foods are, of course, the polar opposite of the paleo premise… Especially Pete’s approach to paleo, which was all about cooking with fresh, local food and involving the kids as well. It’s the reason these days you’ll hear people say they eat “mostly paleo” or “paleo-ish”. This means the average woman – requiring 2000 calories per day – must eat fewer than 25 grams of carbs each day, every day. It was the standard “eat real food and less junk food” health message, just gift wrapped by strong cavemen. … among many other things. Unsurprisingly, the trend line for the search term ‘keto diet’ spiked sharply through 2017. Marketers know this of course (this is data for them) so I expect a big swing from paleo-branded to keto-branded products this coming year… with a premium price tag of course. 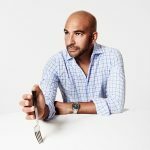 Dr. Peter Attia (“Mr. Ketosis”) – whom I greatly respect – was one of the early online ketogenic diet enthusiasts. The keto diet, paleo, or just about any diet for that matter forces you to remove the largest source of your calories… junk food and drinks. That calorie deficit is responsible for your weight loss… That’s it. It’s not because ketosis sky-rockets your metabolism, nor is it because carbs automatically make you fat. It’s because you’ve began to eat fewer calories than you used to, day to day. This leads to instant weight loss of several pounds… but it’s from water and not fat. For most looking to lose weight its usually a non-extreme low carb approach. More on that in a moment. This shift in macronutrient ratio – particularly if you bump up your protein – will help you cut your calorie consumption. 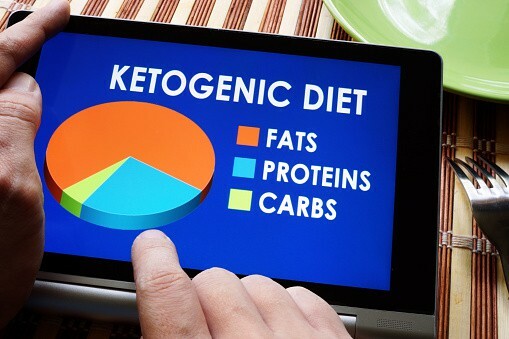 The ketogenic diet is extreme. I was 2 years on it its work verry good in muscle retaining and lose body fat but is it have price to pay. I have multiply kidney stones and and also shoulder bursitis and heel bursitis from it ita mess up your body.Atm i am 1 year in normal and helthy diet and almost recover from this diet. DONT DO THIS DIET AND VERY BAD FOR YOUR HEALTH!!! Your kidney stones are not from the keto diet. There are different kinds of kidney stones, the most common being calcium oxalate stones which develop from eating too much oxalate rich foods. Yes many of these foods feature in the keto diet, but they also feature in every single other diet out there!!! My husband has calcium oxalate stones – he is on keto but we sub out the high oxalate food choices for him and he’s never been healthier. In fact his kidney specialist wants to send his file, which includes his diet, to the top kidney specialist in the country because the results have been so incredible. Interesting, I can find no bilogical reason ketosis would induce kidney stones… maybe you are googling ketoacidosis and misconstruing the two, and then presenting this as an anecdote. 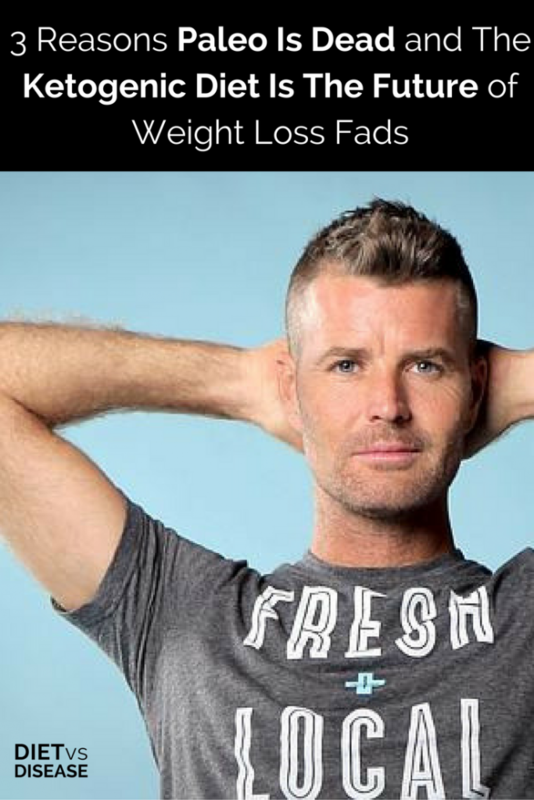 The most sensible and truthful article I have ever read regarding weight loss. I quietly follow your writings with great interest while continuing to figure out what works for me. I’d be interested in your take on Dr Jason Fung. Between sensible fasting, having a main meal midday and eliminating as much sugar and flour as possible, I’ve found a formula that is easy to follow, gets great results and most of all is very sustainable. I’m most interested to hear your thoughts on the importance of insulin as the controlling factor in weight loss or gain, vs calorie intake. What struck a chord with me about Dr Fung is the difference eating 1 pound of lettuce vs 1 pound of sugar. Conversely 8700kj of vegetables and protein vs 8700kj of sugary, glucose rich food. It’s the first time anything has ever made sense about the way our bodies process different foods. 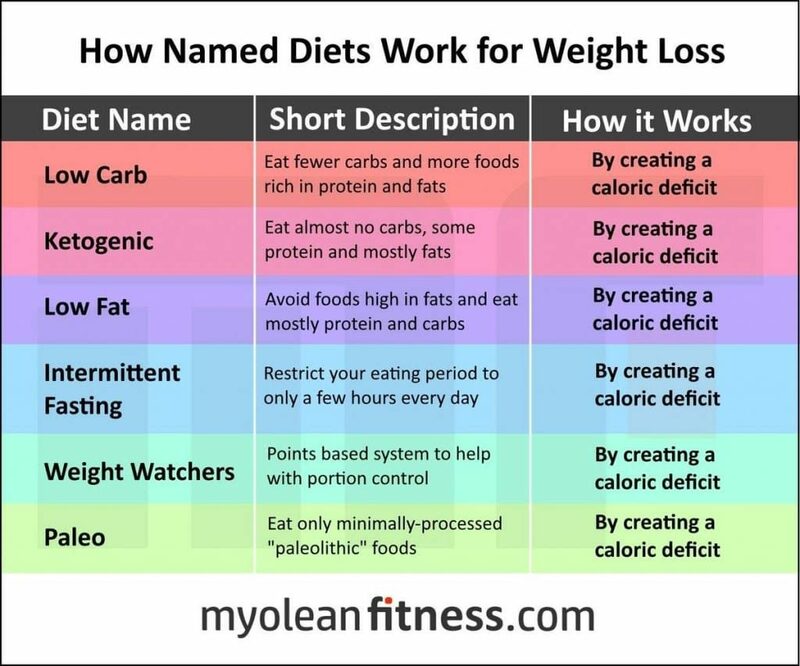 It’s a kind of no-brainer and yet everyone keeps focusing and talking about calories. Hi Shane, my opinion on Dr Fung is that intermittent fasting is useful because it helps people reduce calories not because of the way it effects insulin. 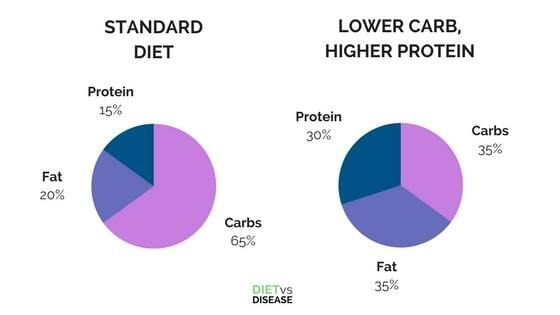 The latest low carb vs low fat study showed it doesn’t make a difference which one you do. 1 pound of lettuce would be basically calorie free whereas 1 pound of sugar certainly would not be. In terms of 8700kj of whole unprocessed foods vs 8700kj of sugary, processed foods, the issue is that the VOLUME would be much higher in the unprocessed food version, allowing you to feel full and energised. Not to mention the micronutrients it would contain that are essential to your health and proper functioning. Similar calories made up of processed foods is likely to be of low volume, low satiety (doesn’t make you feel full) and lets not forget that too much of anything is bad for you. It is for all these reasons that whole food is recommended as opposed to processed foods, even if calories are matched. NOT because “sugar is bad”. Ketogenic diet works for me with lots of vegetable, also berries, are allowed. Low insulin is the only way to stimulate Growth hormone, which will help burning fat, and rejuvenate the body. This is the best diet for loosing weight. No it’s not the best. The best has been proven for years and years, Keto hasn’t. Masses upon masses of people worldwide thrive, lean healthy, disease free on carb dense lifestyles. Only?? Yeh right. Dr Atkins was a fad, Keto is a fad, it’s not a lifestyle. There aren’t enough people who have lived off Keto for years and years disease free, drug free and disability free the way masses of people have successfully lived off carb dense lifestyles. Try doing dome homework again. Thank you for common sense. Keto will die off for sure in the same way Atkins did. What makes me laugh is how the religious Keto freaks believe they have found ‘Hallelujah! They obviously have never heard of the masses of people globally who have successfully eaten largely carb dense plant based their entire lives PLUS live a complete healthy lifestyle – just a fraction different than the Keto amateurs who are still only learning how to eat and exercise, but think they are experts. It’s not the calorie but the type of calories. Sugar and overly processed carbs are processed by the liver much differently. It doesn’t matter what they name it. It is still just eating real food. On the Keto diet you still consume the same caloric intake, you are fundamentally misunderstanding this diet. Your body does not store signifigant amounts of fat in a ketogenic state. And it you do cut calories even slightly, the body will burn its fat reserves for energy as it is already in ketosis. Not to mention the the benfira of the now well studied neuroproetective and glucose-resistance-reducing effects of the diet… You misunderstanding the basic metabolic principles involved.